Kava Kava, a calming and relaxing herbal preparation traditionally used in several South Sea islands, made from the roots of piper methysticum, was taken off the market in several countries on the strength of "safety concerns". Canada banned the herb in 2000, Germany in 2001 and several other European countries followed suit, although the evidence of actual harm to people's health has always been extremely tenuous. As a natural relaxant, Kava was heavily intruding on the turf of several big selling pharmaceutical antidepressants such as Prozac, Paxil, Zoloft, Luvox, Serzone and Effexor, of the selective serotonin reuptake inhibitor (SSRIs) family. Generally, pharmaceutical companies do not take kindly to competition, especially from outsiders such as natural remedies. National health authorities are known for their close relation with the pharma giants and normally oblige if the "experts" say that something is dangerous for health and needs to be removed from the market. That is in fact what happened to Kava Kava. Never mind that the herb has a tradition going back three millennia and has never been known to cause any serious health problems, never mind that several island nations lost much of their export crop to this tussle between pharma's antidepressants and their natural cousins. In December last year, Wales rescinded its ban on Kava on a technical point, however a legal action mounted by the National Association of Health Stores to overturn the ban in all of the UK, was not successful. The major Kava-producing nations of Fiji, Samoa, Tonga and Vanuatu and European interest groups have formed the International Kava Executive Council to set matters right. The World Health Organization decided in October last year to undertake a review of the safety of Kava. More recent meetings held between the Kava producers and national health authorities in Berlin and London seem to have brought a breakthrough towards a possible solution. A breakthrough was achieved in the German debate on the reversal of the highly disputed kava ban, at the Berlin Meeting of the International Kava Executive Council and the German Health Ministry. Kava is an herbal preparation obtained from the rootstock of the plant Piper methysticum originating from the South Pacific Islands. Due to its remarkable calming and muscle relaxing effects, it is used in food supplements and herbal medicines worldwide. In 2002 its sale was prohibited in a number of countries after adverse effects were reported that were thought to be related to the intake of kava products. These measures were highly criticized within the scientific community who thought that the bans were a disproportionate response to the size of the alleged problem. On April 1st, in Berlin, a delegation from the Pacific, headed by the Ambassadors of Fiji and Samoa, met with the German Deputy Health Minister Dr. Klaus Theo Schroeder for talks on the kava ban. Together with scientists, practitioners and representatives of the “International Kava Executive Council” (IKEC), the delegation discussed the requirements that will have to be met in order for kava to be made available again for patients suffering from stress, restlessness and mild degrees of anxiety. In the constructive discussions, it was agreed that further research activities would focus on the safety of kava first, before discussing its efficacy. Whilst in Germany, the question of efficacy of kava is a major part of the debate this is of less importance in other countries where it was not available on a doctor’s prescription and where the decisions to withdraw the products from the market were based on safety alone. All participants have been in complete agreement that it will be possible, and there was a commitment, to re-evaluate the safety of kava within the next six months. Deputy Health Minister Dr. Schroeder, therefore, called on representatives of the German Health Ministry, the IKEC and independent experts in the fields of pharmacology and toxicology to come together to determine the appropriate design for the generation of new data. The results of the toxicological research being proposed, may also contribute to the kava safety evaluations in other countries where kava is currently prohibited or under debate. This was concluded in a meeting of the delegation with the UK Medicines and Healthcare Products Regulatory Agency (MHRA) that took place on April 2nd in London. In these talks the MHRA expressed considerable interest in the German approach to creating new data, and advised that the Agency welcomed a dialogue on this issue and will consider the results of all new research. These talks were only one part of a broad program of action that was organized by IKEC on behalf of the kava producing Pacific Islands States that are currently suffering from the drastic socio-economic consequences of the kava ban. Tau’ili’ili U’ili Meredith, Ambassador of Samoa to Europe explained that: “The Pacific States have lost about 25 % of their Gross National Product and a growing and promising Industry in the Pacific was destroyed nearly overnight, not to speak of the loss of an important herb to European consumers, a herb widely used for the treatment of stress and anxiety”. Both meetings and the activities of IKEC are sponsored by the international organizations CDE and PRO€INVEST, and the companies Aboca, Specchiasol, Ulrich from Italy and Finzelberg from Germany. The site is still under construction, but has both German and English text. Vanuatu kava stakeholders have unanimously agreed to lead the lobby for improved quality of the product, locally and internationally, Port Vila Presse reports. This is based on the many kava varieties in Vanuatu compared to Fiji, Tonga, Papua New Guinea and the French territory of Wallis and Futuna. At a meeting in Port Vila, organised by the department of quarantine, it was explained to kava traders that it was now time to introduce kava on the Codex Alimentarus rules. have you ever known anyone on trankys for an extended period, they`re zombies. meanwhile kava relaxes without that heavy deadening of the senses associated with trankys, one`s mind stays sharp. this ban was the most bizarre knee-jerk reaction i have ever witnessed in my 54 years of living. 3000 years of usage by the south pacific islanders with no liver problems speaks volumes. hurray for the incredible common sense and courage of the Welsh!! this smacks of partial complicity of big pharma, it`s quite disgusting to think that our politicians and health care bigwigs would kowtow to these money grubbers. 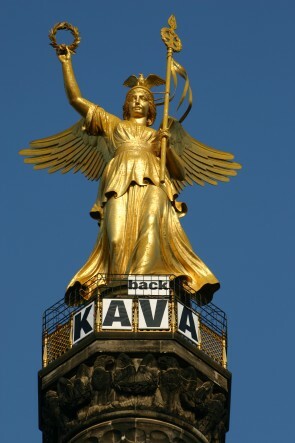 i believe a sense of reason will prevail, and kava will be a legal herb at your local supplement store soon. at least most countries with a ban in effect are reconsidering their decision. After reading this study one will come to notice that kava was not supposed to be banned. Neo-colonialism, is what! Bloody communists. Where we at? Aug 18, 2009 www.fiji-taro-and-kava.com here. Bye big world, we just wanted to bless you with a part of nature.